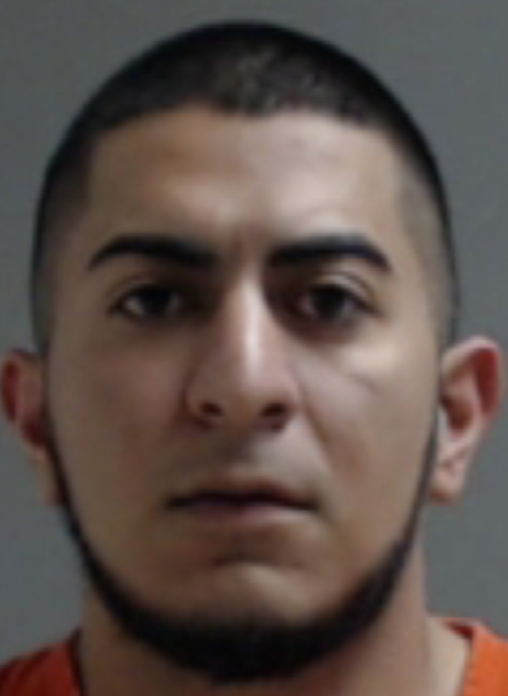 Brothers, a senior trooper for the Texas Department of Public Safety, told jurors Wednesday he was able to “say 100 percent for sure that (the car) was running from me” after he switched on his overhead lights and followed it, a piece of testimony central to the Hidalgo County District Attorney’s Office’s case against Jacobo Rivera, a former Palmview police dispatcher. Rivera, 24, is on trial for murder, manslaughter, evading arrest causing death and evading arrest causing serious bodily injury, charges which stem from what transpired in the seconds after he sped past the trooper. His front seat passenger, 21-year-old Kryztal Luna, died from injuries sustained when the Mustang crashed into an expressway support pillar after Rivera took the Showers Road exit. In his opening statement on the first day of trial last Tuesday, Assistant District Attorney Vance Gonzales told jurors that if they believe, beyond a reasonable doubt, that Rivera was attempting to evade the trooper at the time of the crash, then he is guilty of all four charges. Rivera’s attorney, O. Rene Flores, pointed out during Wednesday’s testimony that the trooper lost sight of Rivera at various points in the pursuit, and thus couldn’t say for certain whether Rivera accelerated after exiting the expressway. The trooper did not use the radar gun during the pursuit, and troopers tasked with re-constructing the crash scene previously testified they were unable to determine the car’s speed at the point of impact, leaving jurors only with a photograph showing the speedometer of the smashed car at 85 mph. Rivera told hospital staff who attended to him in the wake of the crash that he didn’t see Brothers, according to medical records entered into evidence. Despite the question of whether Rivera was evading arrest being central to the case, prosecutors Gonzales and ADA Lauren Sepulveda have also focused on whether Rivera and his other surviving passenger, Palmview police officer Juan Martinez, were cooperative during the Palmview Police Department’s investigation of the crash. Gonzales told jurors during his opening statement that neither man could be trusted, going so far as to call Martinez, who remains employed with the department, a liar. Various witnesses have testified that neither man agreed to answer investigators’ questions while in the hospital, and that Rivera refused to voluntarily take a blood alcohol test. Witnesses have also said the men gave conflicting statements during the investigation. State District Judge Noe Gonzalez told attorneys Wednesday that prosecutors would be unable to call Martinez to the witness stand if the primary purpose in doing so would be to impeach him. He also warned prosecutors to avoid any discussion of a potential cover-up by the Palmview Police Department during its handling of the case, something the prosecution said would come to light in the trial during its opening statement. “A lot of what you’re talking about is not of concern to this case,” the Gonzalez said, urging the assistant district attorneys to instead bring any evidence to his attention of Palmview police tampering with evidence, obstructing the case or conspiring to do so. “Those are serious allegations and I’ll be the first one to turn over that transcript to either a grand jury or the DA’s Office,” the judge said. “But not in this case unless you tie it to this case,” he said of the allegations being inadmissible in the case against Rivera, who he noted faces no charges of tampering or obstructing. Trial resumes Thursday and could conclude by the end of the week.